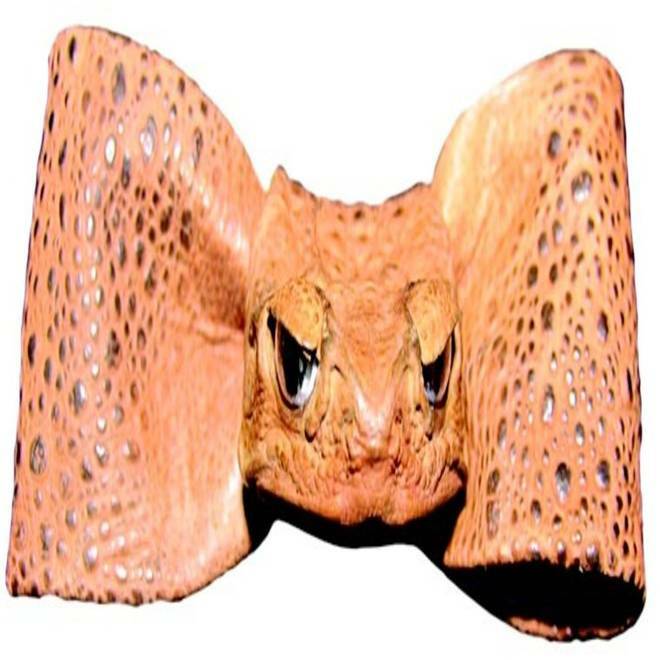 How would you like a tie made from the skin of a cane toad as souvenir? As the author of the popular "Signspotting" series of books chronicling weird and wacky street signs, Doug Lansky has proven he’s got an eye for the absurd. When it comes to souvenirs, he’s also a connoisseur of the kitsch. 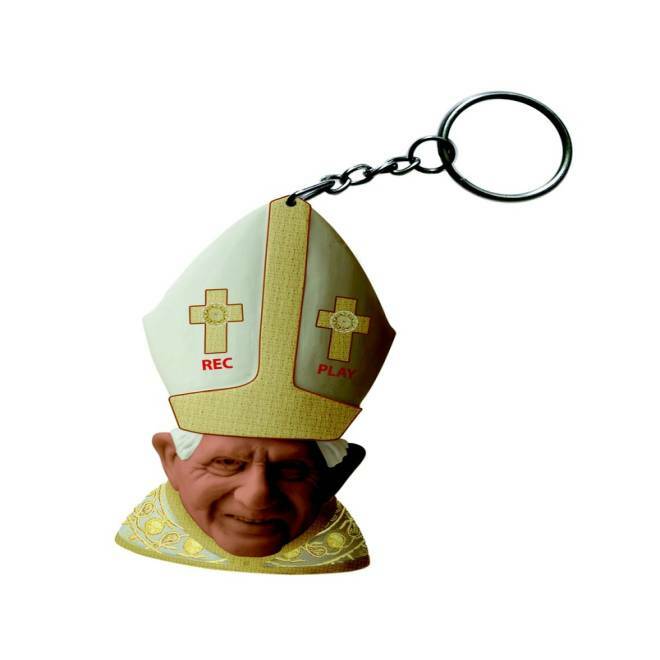 From the “Popener,” a bottle opener sold in Rome bearing the likeness of Pope John Paul II, to a pair of flip-flops from Spain adorned with bundles of tiny President Barack Obama faces, Lansky has seen it all. And for his newest book, "Crap Souvenirs" (due out Oct. 2 from Perigee Trade Paperback), he’s curated a collection of some of the strangest, kitschiest and tackiest souvenirs he could find. 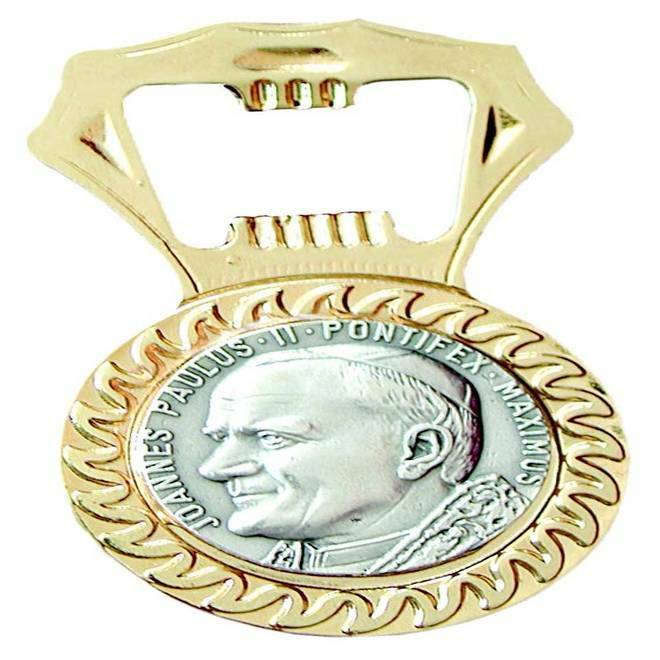 The "Popener" is a bottle opener sold in Rome bearing the likeness of Pope John Paul II. 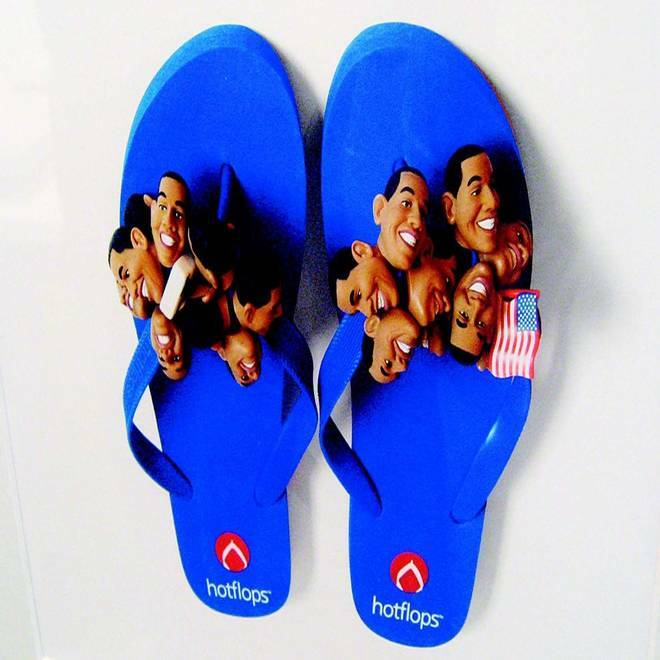 This pair of flip-flops from Spain is adorned with tiny faces of President Barack Obama. Doug Lansky actually uses this Egyptian-themed toenail clipper. Some, like the Egyptian-themed toenail clipper, he purchased and actually uses. “Each time I’m clipping my toes like an Egyptian, I’m reminded of an evening spent hunting for just the right souvenir,” Lansky told NBC News from his home in Sweden. Others he carefully (and sometimes surreptitiously) photographed and left behind on the gift shop shelves. Through the Crap Souvenirs website, travelers shared photos of some of their favorites, and Lansky picked about 150 to feature in the book. He added corny captions and bits of souvenir trivia, such as the fact that souvenirs — good, bad and crappy — are a $15 billion worldwide commercial industry. Travel is considered an extraordinary experience, said Kristen Swanson, a merchandising professor in the School of Communication at Northern Arizona University. “So the souvenir helps us remember the extraordinary when we have to go back to our ordinary lives.” She doesn’t believe that tacky souvenirs are necessarily purchased because they’re tacky, but simply to cherish an experience. “And, at that moment, it most clearly represents what the tourist is trying to capture and remember in the fleeting touristic experience,” she said. With so many tacky souvenirs out there, Lansky did have to narrow down his search. For an item to be a true crap souvenir, Lansky decided it had to be: for sale for between $2 and $15; created as a souvenir; and somehow tied to a place. “It’s great if it says, ‘Greetings from Texas’ or wherever it was purchased, but things like alligator claws made into ashtrays don’t need that. Those are clearly from Florida,” said Lansky. After sifting through thousands of crap souvenirs, Lansky does have some favorites. In addition to that Egyptian-themed nail clipper, Lansky has a soft spot for souvenirs that are unlikely combinations of things, such as the Empire State Building that’s also a pencil sharpener, the ceramic alligator that’s also a thermometer and a miniature version of Mount Rushmore that’s also a lamp. “Sometimes the randomness of an item will just make you shake your head,” he said. No, really, you shouldn't have! 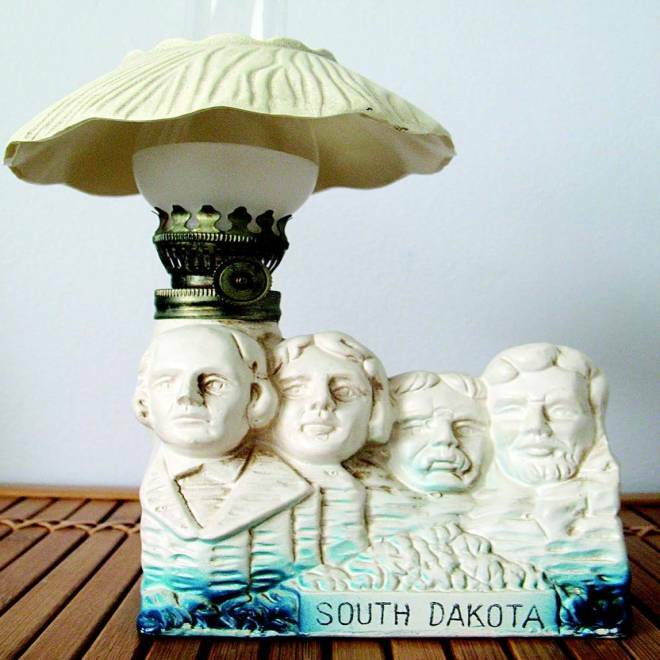 This miniature version of Mount Rushmore doubles as a lamp. Lansky also likes the Benadictaphone, which is a tiny bust of a pope on a keychain that can record messages, and a tie made of cane toad skin and sold to tourists in Australia. 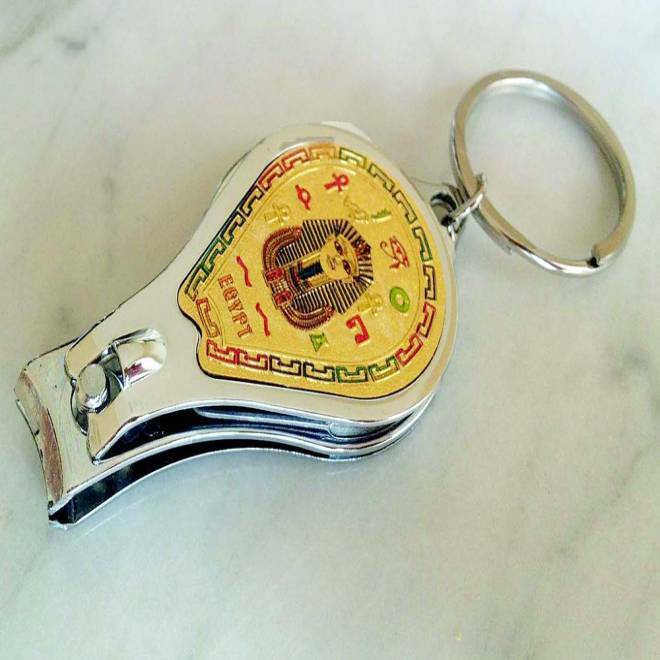 Pope in your pocket: The Benadictaphone also record messages. With so many classic, kitschy, creepy, wacky and sometimes off-color souvenirs out there, how did Lansky ultimately sift out the just plain terrible from the terribly cool? “I just know a great crap souvenir when I see it,” he said. What's the tackiest souvenir you've ever received? Tell us about it on Facebook.